I absolutely love trying new recipes. I try to mix in at least one new one every single week, along with a staple or favorite recipe. So once a month I want to share my meal planning for the week. I’ll walk you through the ingredients, how I go about planning each meal, and what each meal is. Full discloser: a lot of these recipes are based on recipes I found online that I tweaked for my own taste. Let’s do this! Since this is the very first post for this series I want to walk you through how I actually plan my meals. This process usually starts on pinterest with me looking through recipes on there. It’s a great resource for finding awesome new recipes to try. Each week I pick out four recipes that I want to make for Monday-Thursday as I tend to eat out on weekends. When I’m cooking for just me, I can usually do two recipes and use leftovers for extra meals, but when I’m cooking for myself and my boyfriend I tend to have fewer leftovers. For the sake of ease and saving some money, I try to pick recipes with similar ingredients or with quite a few overlap ingredients. This usually is by picking one or two new recipes and then thinking about what else I could do with the ingredients included in those recipes. Once I have them picked out I make my grocery shopping list and go pick up everything. I don’t like to have to grocery shop more than once a week, so I try to plan ahead as best I can. Here’s a list of everything I bought for this week’s meal prep. In total, everything came out to $40. Keep in mind, this was a week that I was cooking for myself and my boyfriend, so it was $20 each. You could easily cut this in half if you’re only cooking for one! I do my grocery shopping at Trader Joe’s, so all these items are Trader Joe’s branded, but most items you can find at the grocery store of your choice. 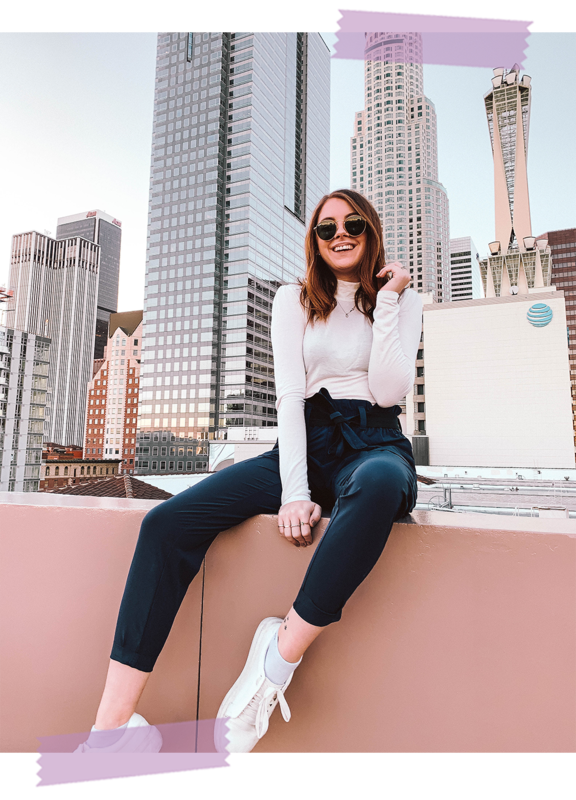 PS - if you want to see a list of all my favorite items from Trader Joe’s, you can check that out here! This is a classic meal for me and I usually make it once a week. I got this original recipe from Sivan Ayla’s blog and it hits the spot every time. Check out the original recipe here. This recipe is pretty simple! I start by seasoning the salmon with grapeseed oil, garlic powder, salt, pepper, and chipotle black pepper and bake it as 425 degrees for 12-14 minutes. I also make my quinoa following the instructions on the side of the box. Then I prep the veggies by chopping up my cucumber (I used about half of the english cucumber for 2 servings) and one green pepper. I bought my carrots and mushrooms pre-cut to save on prep time. Next, I throw my bell pepper and mushroom into a pan with grapeseed oil and some soy sauce for flavor. And then all I need to do is assemble. 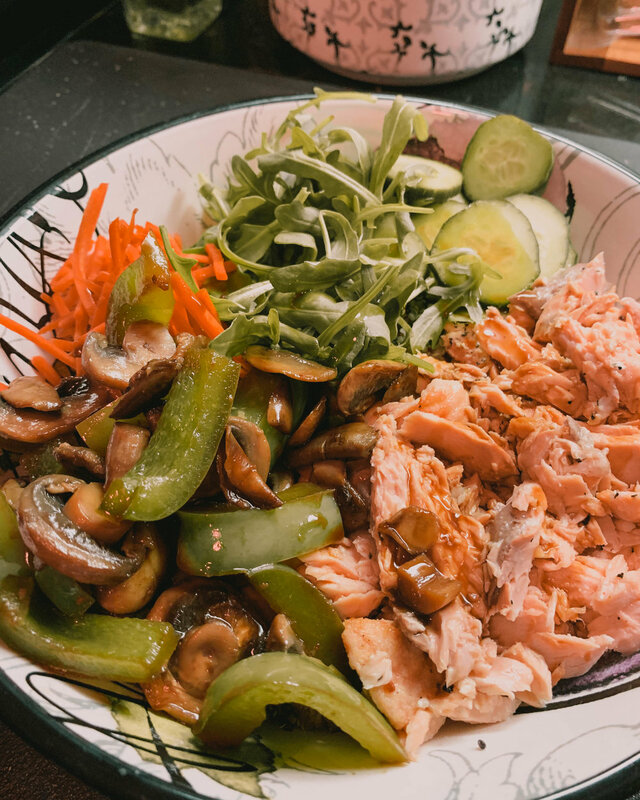 I layer the bottom of a large bowl with quinoa then add my salmon (shredded after it comes out of the oven), cucumber, arugula, carrots, and mushroom bell pepper mix into the bowl. For a sauce to go on top I whisk together soy sauce, stir fry sauce, dijon mustard, and sriracha. And we’re done! Total prep time for this meal is about 30 minutes from the time you start to pre-heat the oven to the fork entering your mouth! 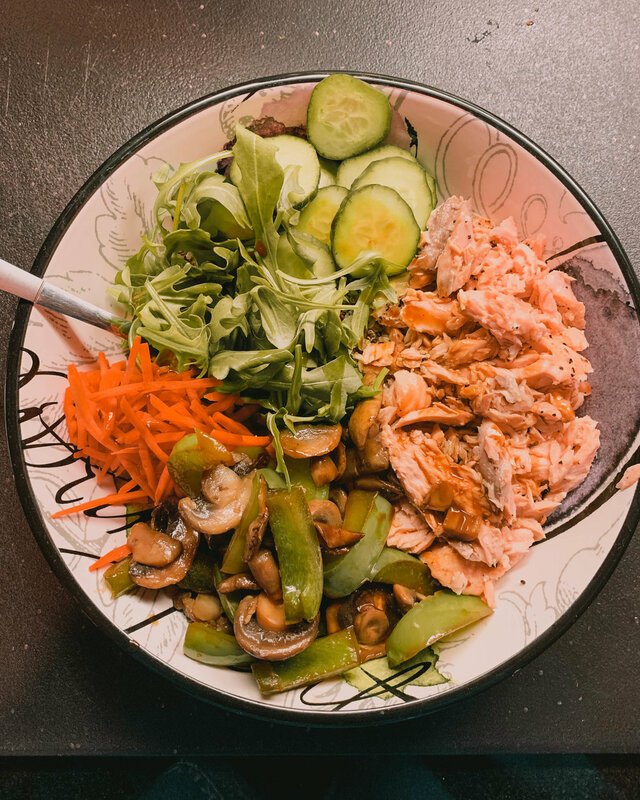 Not too bad at all and leftovers of this meal will last in the fridge for a day or two, so save it for lunch or dinner the next day! This has become a new staple in my home since these are so damn easy and delicious! My schedule on Tuesday’s doesn’t allow me to get home until around 7pm, so the last thing I want to do is make a complicated meal. I found this recipe originally on Hot For Food’s blog (find the recipe here), but I’ve changed it around quite a bit to fit my own taste and to make it even healthier! The great thing about these is that you can pretty much throw any ingredient into them so they’re perfect to add into the rotation. The great thing about this recipe is that it’s all prep and barely any cook time. To prep for these, you’ll need to boil some water and boil your zucchini noodles for 2-3 minutes just to soften them up slightly. Then I drain and flavor with stir fry sauce, dijon mustard, and sriracha sauce. I also slice half of a green bell pepper and sriracha tofu into very thin pieces. You want everything to be super thin for this recipe so it will roll easily. I also slice half an avocado in half so I can easily grab a small bit to put into the spring roll. Then you just assemble. 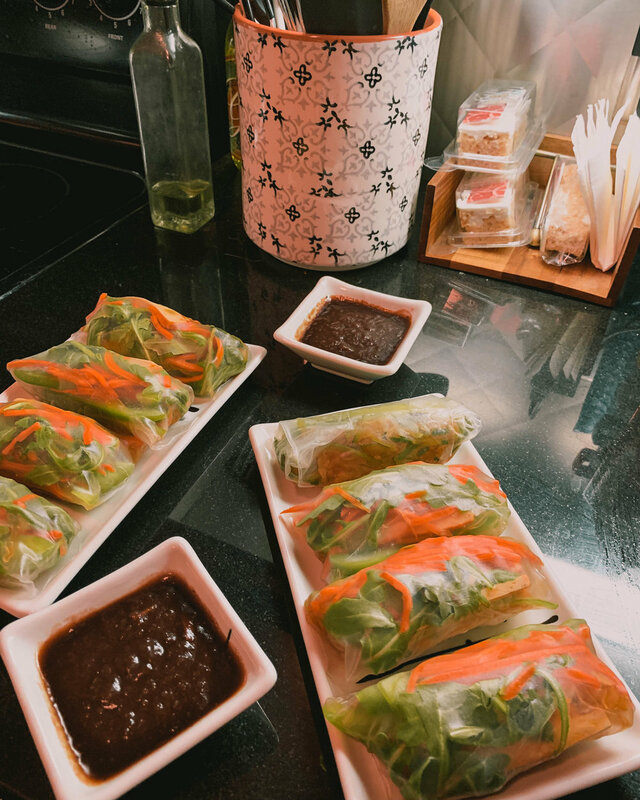 I simply dip the rice paper into water, then move it onto another plate and fill it up with all the ingredients. Once it’s full I wrap it up and set it aside. And you’re done! You can bake or deep fry these if you want, but I prefer eating the rice paper raw. I usually make four per person which is plenty filling! For a dipping sauce, I use the recipe from the original Hot For Food recipe for the pomegranate sauce. This recipe will probably take around 20 minutes for you to make and is extremely easy to put together. 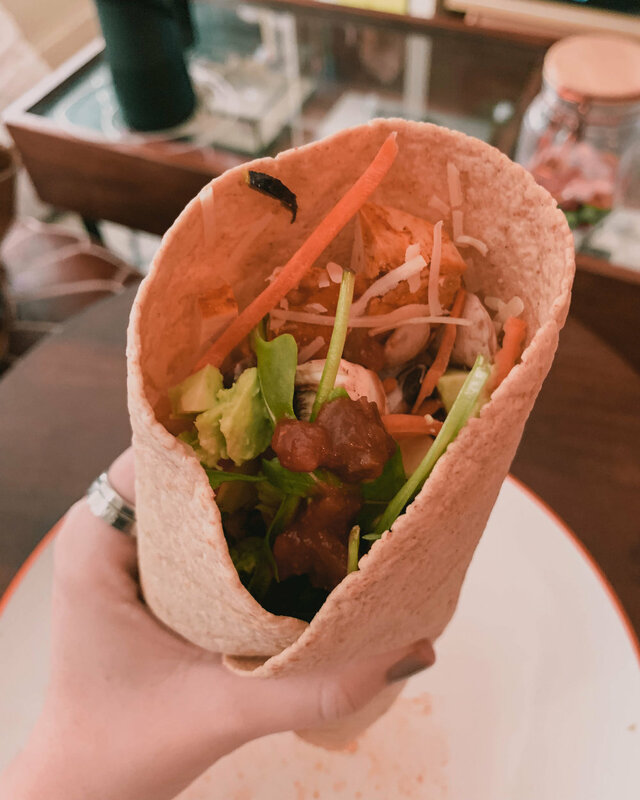 And as I mentioned, you can throw absolutely anything into these wraps, making them the perfect addition to your meal plan for the week. 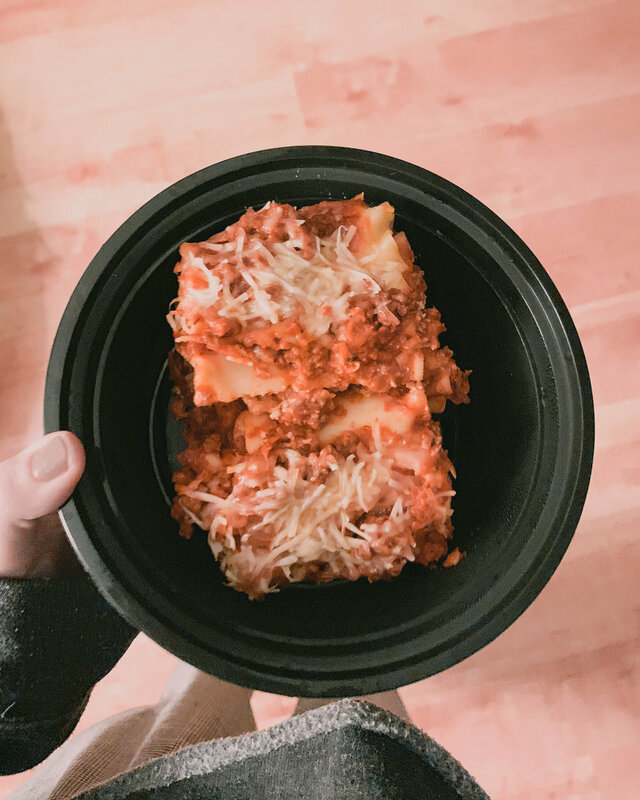 These lasagna roll ups are a new one to the rotation and were absolutely delicious! They’re a little time consuming to make, but honestly, it was so worth it. This was my “cheat” dinner for the week and it was worth every single bite! I found this recipe on pinterest and you can see the original recipe here. Start by preheating the oven to 350 degrees and throw a pot of water on the stove. Once the water is boiling you’re going to cook your lasagna noodles for 8 minutes. While you’re waiting for your noodles you can prep your ricotta and meat. For the meat, I just crumble it into the pan with garlic, roughly diced mushroom, and about half the jar of the tomato sauce. For the ricotta, I put it into a bowl with garlic powder, salt, pepper, and oregano. Once your noodles are made and the meat and cheese are prepped, you just layer it in. You start with the noodle, then add the ricotta, add some of the meat mixture on top of that, and then roll it up and place it seam down in the pan. Once all of your noodles are finished I used I rest of the tomato sauce on top of the rolls and sprinkled with parmesan cheese. Then simply bake for 25 minutes and voila! You’re finished and ready to dig into a perfectly delicious meal. This was a bit more complicated to make then I typically like my dinner to be, but it definitely paid off. I plan on adding this into the rotation at least once a month for a little treat. Holy moly are these amazing. This is for sure my go-to meal when I’m feeling lazy because it requires so little effort. These are great for lunch and dinner. It’s the easiest way to get in your veggies in a super yummy and convenient way. This one is pretty self-explanatory. I start by putting quinoa, slices of the sriracha tofu, and the parmesan cheese onto a tortilla. I throw those into the microwave for about 20 seconds just to heat them up and bit and bring them up to room temperature/let the cheese melt. Then I layer everything else on top - diced mushrooms, shredded carrots, diced green pepper, arugula, and avocado. And lastly, I top it with salsa and a bit of sriracha for a kick. I tend to eat one for these for lunch or two for dinner. They’re way more filling then you may expect, and the easiest meal ever to make. You can add in any veggies/protein you want into these, which makes them great for when you have some extra ingredients left over at the end of the week. There you have it! Let me know in the comments if you’re into these kinds of posts and I’ll continue to make them in the future!